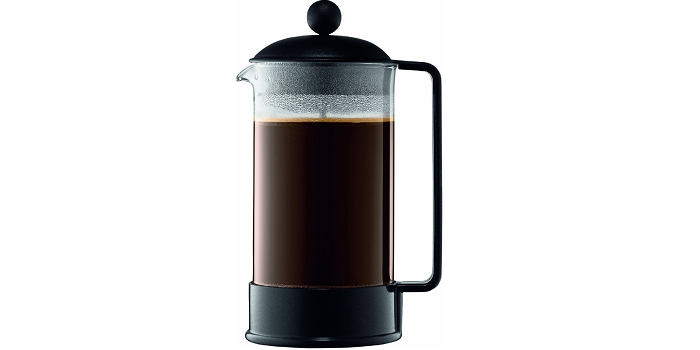 • Traditional French Press - the most basic way to have pressed coffee. 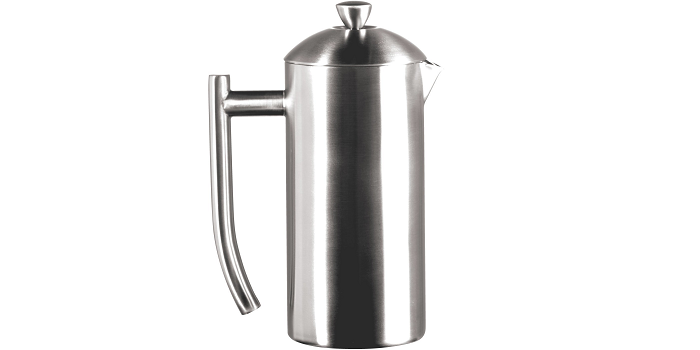 • Electric French Press - boil the water in the carafe. This eliminates the steps of boiling and pouring the water. 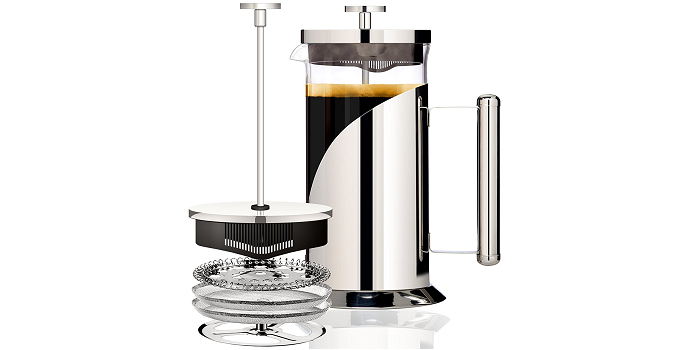 • Thermal French Press - the carafe will keep the coffee inside hot longer than a traditional press. 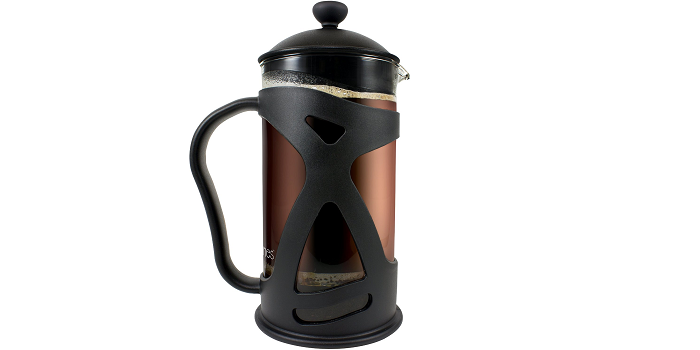 • Travel French Press - often made of durable plastic with a thermal lining. A perfect choice for travelers. • Aeropress - uses a special filter method to press the coffee directly into a cup or a separate carafe. • Glass – the flavor of coffee pressed in a glass carafe is cleaner. However, they are fragile and tend to break easily. • Plastic – perfect choice if you are going to travel or go camping with it. However, your plastic can negatively affect the taste of your coffee. • Stainless steel – offer the best durability. However, they are a bit hard to clean properly, and improper cleaning further impacts the flavor. • Ceramic - They hold temperatures well. However, though more durable than glass, a ceramic carafe is still breakable. • Metal - eco-friendly and economical. It can be washed and re-used repeatedly. However, they can bend and warp when too much pressure is applied. Just make sure you buy the one that do not rust easily. • Cloth - eco-friendly and economical. It can be washed and re-used. However, special care should be taken to avoid detergent residue in the material. • Paper - disposable, making them more convenient than a filter that needs to be washed. They also have a very tight weave and will keep most of the particles out of the coffee cup. • Removable carafe and dishwasher safe – for ease of cleaning. • Lid Seal - so you don’t get coffee all over your counter, or you in the mornings. 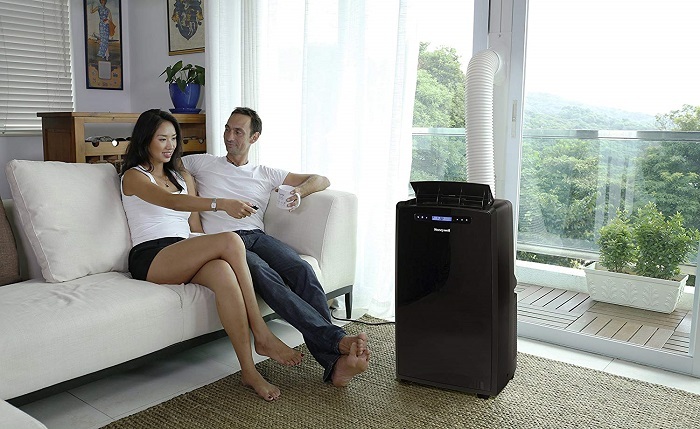 • Coffee warmth – to retain the heat until you finish your cups of coffee for the day. 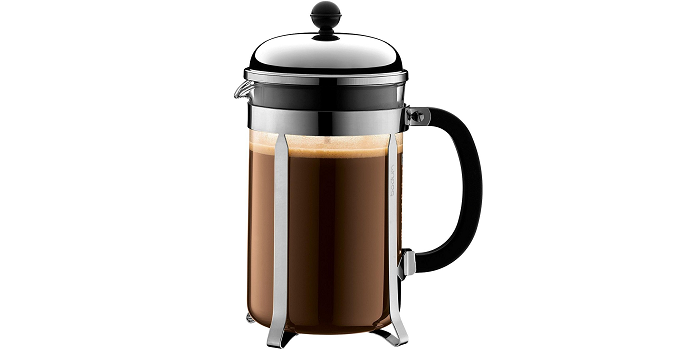 There are great advantage if you buy your first French Press online is that you can see directly the opinions of other users. 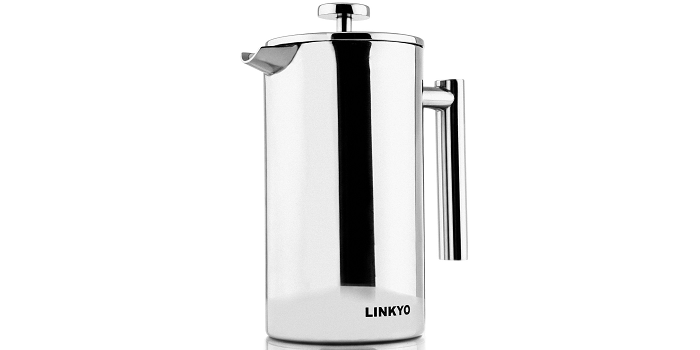 • BONUS Stainless Steel Screen included with this French coffee press. Filter screen is easy to disassemble and clean. Stack one or more screens together gives your espresso a more refined taste. • Brews 1 liter (8 coffee cups or about 4 coffee mugs), 34oz. of the best tasting coffee. • The best stainless steel(18/10)interior and exterior--Won't rust and dishwasher safe. 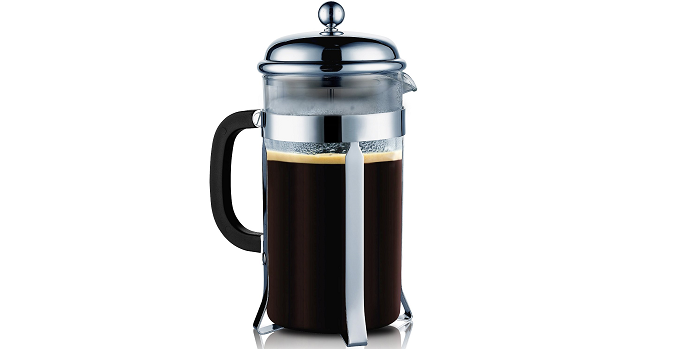 • The only French Press with DOUBLE Stainless Steel encapsulated LID, PLASTIC FREE! Built to endure high temperatures to keep your fingers SAFE, fully sealed with just a slight twist of the lid to trap aroma. Carefully crafted using unbreakable GLASS, the thermal shock-resistant carafe is MADE IN GERMANY! 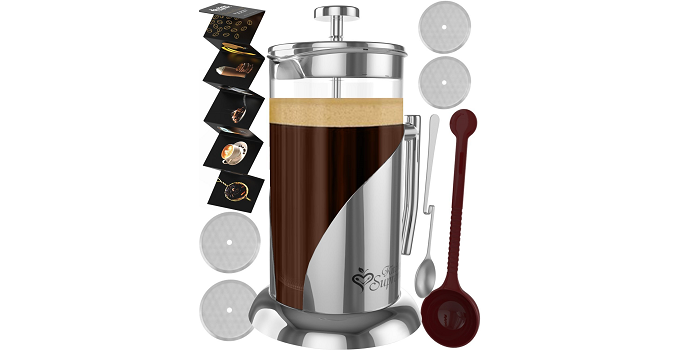 4 FILTER SCREENS for all types of coffee grounds - The French Coffee Press can be used as a Tea Infuser using the unique Stainless Steel Plunger System. • 4 LEVEL FILTRATION SYSTEM - We use double stainless steel screen filters on a plunger supported by a spring loaded base plate to seal the edges, followed by a final top lid strainer to give you a pure brew with no grounds unlike other cheap presses. 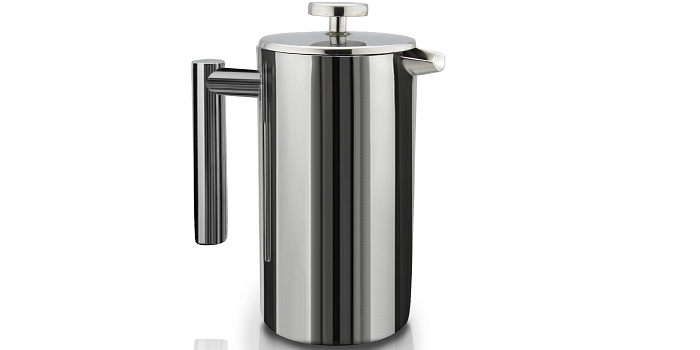 Perfect to make fresh French coffee, tea, espresso or even cold brew. 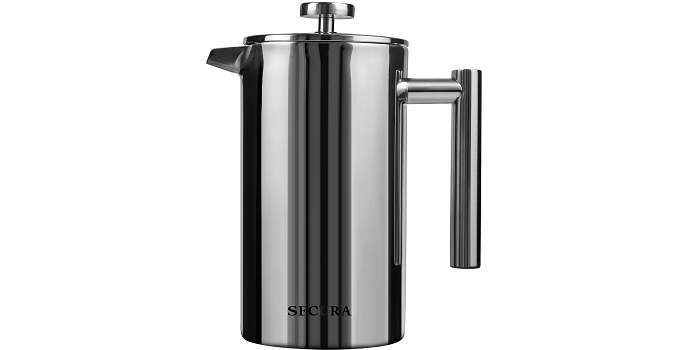 • Every single metal piece is 304 grade stainless steel giving the french press a resilient shine and protecting it from rust. The large carafe is made of thick borosilicate glass that can withstand boiling water! It is also portable and small enough to fit in a travel bag or backpack, making it easy to bring on camping trips and other outdoor activities. • BPA FREE - All individual materials surpass food/drink grade quality requirements with certified lab tests to back it up. BPA free plastic lid strainer, 304 food grade rated stainless steel, thermal resistant borosilicate glass pot.